tried to kill others with rat poison. Soon after Carolines conviction, thallium was banned from sale. Sydney in the period 1947-1953. A labourer’s daughter, born Caroline Michelson around 1888 at Balmain, Sydney. She married Richard William Grills on 22 April 1908, and together they had five sons and a daughter. Two of Richard and Caroline's sons died tragically after contracting typhoid whilst doing their duties as life savers on Maroubra beach. Life was one of constant movement from that point on, never settling in one place for too long. Caroline inherited her father’s home at Gladesville after his death in 1948. In her photograph she looks like a loveable lady, whom you'd gladly take home-baked goodies and a cup of tea from. She would often bake for her extensive family and was known as 'Aunt Carrie'. This 'lovely' old lady was later found guilty of murdering four members of her family by poison planted in her baked goods and tea. In 1953, 63 year old Grills was charged with attempted murder of her sister-in-law Eveline Lundberg and Lundberg's daughter, Christine Downey. The Lundberg's exhibited hair loss, blindness and impaired speech, all which are symptoms common in thallium poisonings. Throughout 1951 - 1942 various family members became ill, including Mrs Lundberg, although they suffered with this illness, they all survived. John Downey was one of those whom became ill. He had read a story in a newspaper in October of 1952 about poisonings; this raised his suspicions about 'Aunt Carrie'. He spied her reaching into her apron pocket and then drop something into the cup of tea she was carrying. He had the smarts about him to switch the cups and take a sample of the tea to police. Police tested the sample and found that it contained thallium. This was enough for investigators to examine the deaths of the other members of Grills’ family. Two bodies were exhumed and traces of thallium was found. Two other bodies had been cremated and could not be tested for poison. At a coroner’s inquest, witnesses recalled Grills bringing them drinks, and how eager she was to help with preparing food and tea. The coroner found 'Aunt Carrie' responsible for four deaths but these cases were dropped. 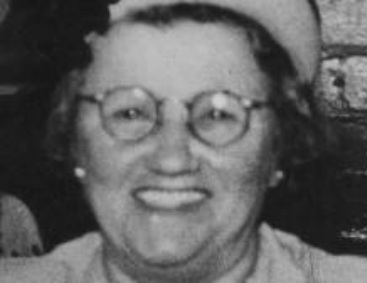 Caroline was only convicted for the attempted murder of Mrs Lundberg in October 1953.
became her home for the next six and a half years and 'Aunt Carrie' became affectionately dubbed by other inmates as 'Aunt Thally'. Caroline died in 1960. She was rushed to Prince Henry Hospital, and later died of peritonitis. She was cremated with Anglican rites, attended by her husband, daughter and three of her sons surviving her. The undercurrents of envy, anger or revenge that pushed her to kill so many of her family can only be guessed at.